Sixty years ago Elizabeth Eckford walked through an angry mob of white people so she could fight for integration on her first day of school. 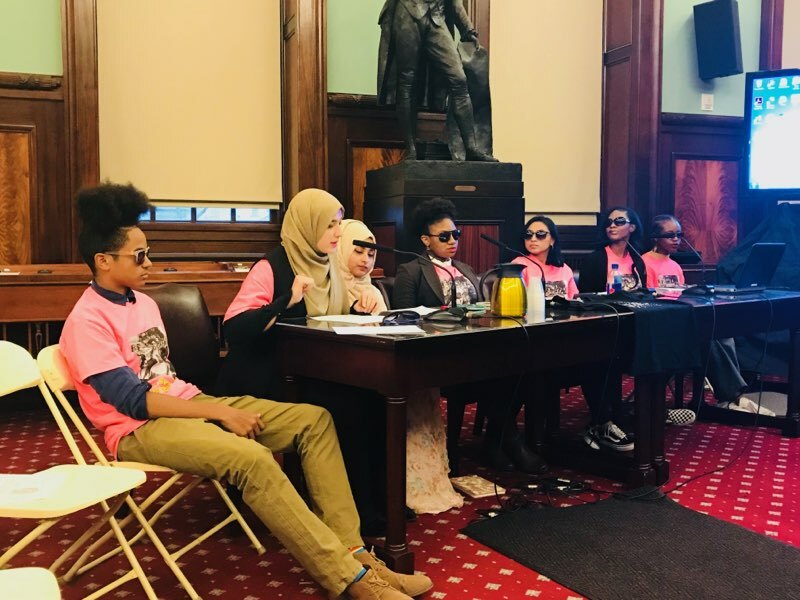 On December 7, 2017 Hebh Jamal and other students from IntegrateNYC honored her strength and fearlessness by bearing her image and wearing sunglasses as they testified to the City Council’s education committee. Most importantly, they honored Ms. Eckford by carrying on the unceasing work of Real Integration and racial justice. Matt Gonzales was also invited to testify. His testimony reminded us all that there are many things the Mayor and Chancellor can do right now to reduce dramatically the incidence of educational segregation in New York City.